Up to a 3rd of injuries that happen in UK workplaces are Musculoskeletal Disorders (MSDs) – injuries that impact the joints, bones and muscles, and the back. Estimates from the Health and Safety Executive show that, in 2016/17, there were 507,000 people suffering from work-related MSDs. Over the same period, a remarkable 8.9 million working days were lost due to MSDs. Many people are aware of the potential dangers involved in incorrectly performed manual handling and heavy labour, as well as workplace accidents like slips and trips. But evidence also shows that awkward postures and an existing injury are also risk factors in the development of MSDs at work. With the health and economic impact of musculoskeletal injuries all too clear, companies are increasingly investing in workplace training to stop MSDs from developing. Prevention, as so often, is far better than a cure – and the following steps should help you to avoid musculoskeletal injuries in the workplace before they have an impact. Incorrect manual handling is one of the most common causes of injury at work. Though typically associated with heavy labour, manual handling injuries can happen anywhere people are at work – on farms and building sites, in factories, offices, warehouses, hospitals, banks, laboratories, and while making deliveries. Where possible, heavy manual handling should be completely avoided. There are few occasions where you will need to lift or push anything so heavy or cumbersome that it may cause you an injury. For anything that is obviously going to cause strain, you should use proper equipment, such as a trolley or other lifting aid. Where manual handling is unavoidable, training is vital to reduce the risk of injury. You should be fully trained in how to carry out safe manual handling, including proper technique, before you attempt it. You should also be fully aware of the risk factors involved and the type of injuries that may occur. Often, MSDs develop over time, particularly if your work involves repetitive tasks. 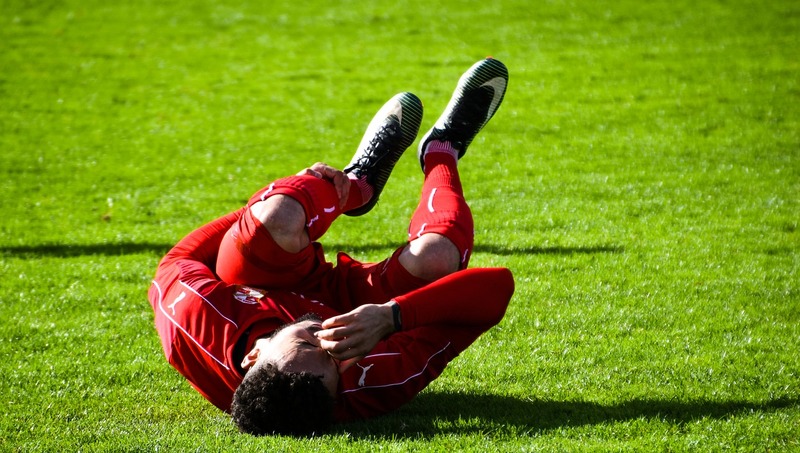 Knowing which symptoms to be aware of may be helpful in preventing long-term injuries. There are, of course, a variety of simple steps you can take to make any manual handling as risk-free as possible. Can you make the object less heavy or bulky? Might you be able to push, rather than pull? Are there ways to reduce distances, or avoid repetitively doing the same handling? These can all help reduce risk – but you should only ever engage in manual handling when you have been fully trained to do so. “There are no accidents, only preventables” has become something of a mantra in many workplaces. When it comes to musculoskeletal injuries at work, there are a variety of steps that may be taken to preventing basic accidents, like slips and trips. The vast majority of slips and trips are caused by obstructions in walkways or by uneven surfaces. Everyone should be trained to identify potential hazards in the workplace – and stopping such accidents is simple and inexpensive. To prevent accidents, you might simply be more mindful of everyday “housekeeping”. Are there wires trailing from computers or other equipment, or perhaps something as seemingly innocuous as a few loose papers? These might be easy to ignore – even becoming “part of the furniture”, something you stop seeing because you see it so often. But you should try and adopt “a see it, sort it” approach to workplace housekeeping. It may prevent an accident – and injury – to you or a colleague in future. Other basic ways to prevent accidents are seeing that any stairs are in sound condition, and that usable handrails are available where needed. But preventing musculoskeletal injuries at work may be as simple as changing a lightbulb. While bright lighting can be a hazard in itself, you are far less likely to spot potential obstructions and hazards if your workplace lighting is not bright enough. Imagine wearing shoes that were slightly too small for you. You may not notice a problem at first, but over time you would feel increasingly uncomfortable and, eventually, risk a permanent injury. The same is true of posture. You may not realise it initially, but if you keep the same incorrect posture for long periods of time, you may eventually develop health problems. With more of us sitting in front of a computer for longer and longer periods, proper posture is becoming vital to the prevention of musculoskeletal injuries in the workplace. Your employer should provide you with the right workplace equipment to help avoid injury; this may include supportive and fully adjustable chairs, desks at the right height, and properly designed ergonomic workspaces. Your employer may also offer you a training programme to help against MSDs. However, there is much you can do through your own initiative to help prevent long-term health problems from developing. Simple changes you can make include not crossing your legs when you sit, and placing your feet on the floor or a footrest. You should also make sure that your computer screen is at eye-level, and that your mouse, keyboard and anything else you may need are nice and close to you. You may not realise it, but having to stretch too far to reach whatever it is you need may cause Repetitive Strain Injuries (RSIs) over time. You should also make sure to change your posture as often as practicable. Simply sitting in the same posture for long stretches of time may prove damaging. Many experts now advocate getting up and taking a short walk if your work involves sitting for long periods. This may not only help your posture, but could also increase your mood and productivity. MSDs can range from the mildly irritating to the utterly debilitating. For both employers and employees, preventative measures can be taken to combating workplace MSDs through training programmes and other simple, day-to-day steps. Your back – and your boss – will thank you. « Periodic Driver CPC Training – only one year to go!